» Culture on Rhodes, the Island of the Sun. Hiking on Karpathos. A 15-day hiking and cultural trip. Rhodes, with approximately a surface of 1400 sq.km, is the largest island of the Dodecanese, located close to the coast of Asia Minor in the Aegean Sea. Its landscape is characterized by smooth and extensive beaches and partially forested mountains in the inland. 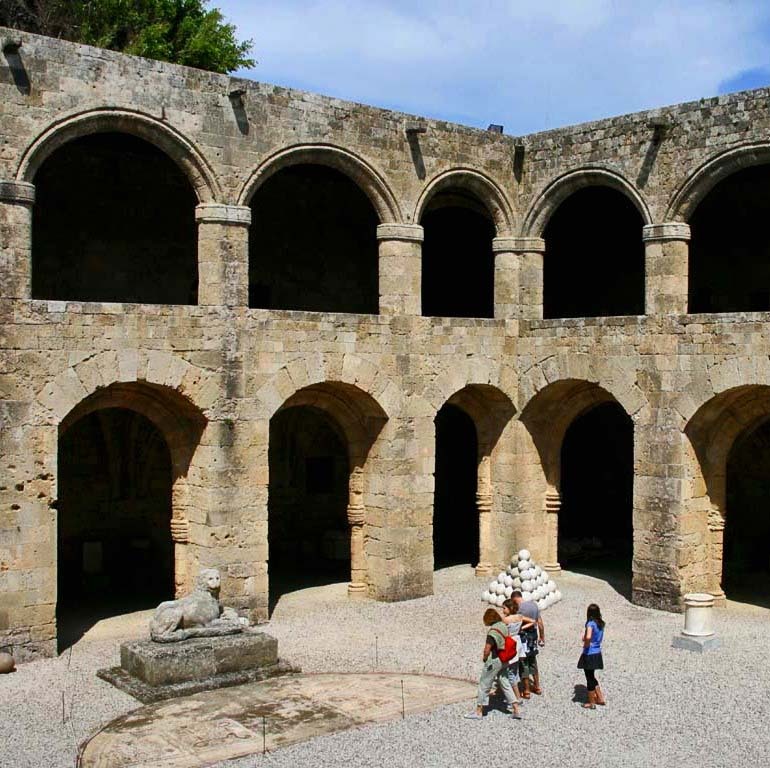 The history of Rhodes is marked by two flowering eras: During the Hellenistic period, the island was an independent marine state and major trade center of the eastern Mediterranean. Glorious buildings were created in the cities of Lindos and Rhodes. 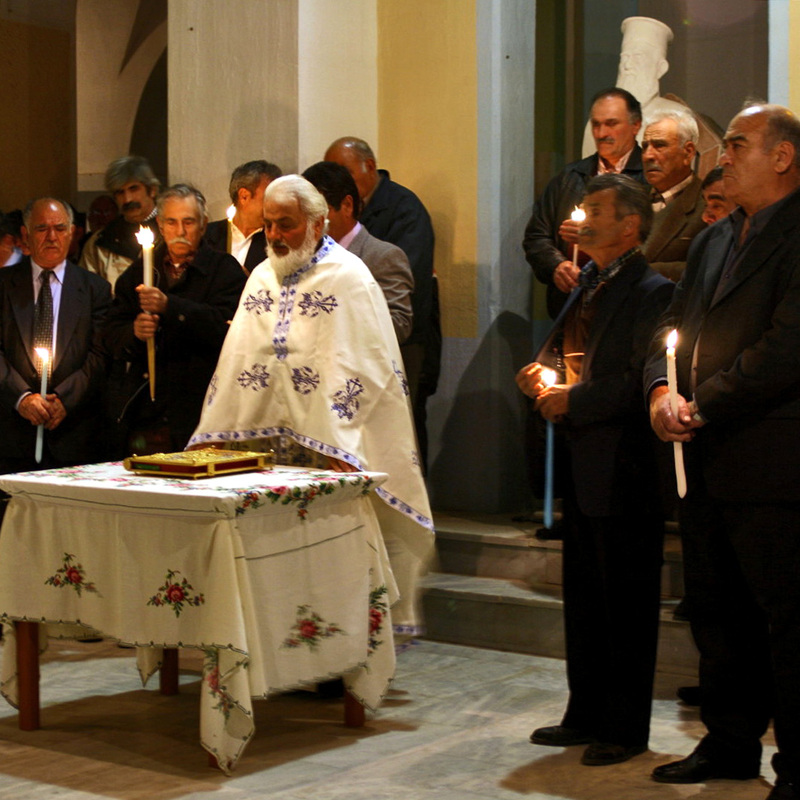 During the late Middle Ages, when the Knights of St.John’s Order ruled in Rhodes, for a long time the island was the last outpost of Christianity in the Levant. Cleobulus the Rhodian was one of the Seven Sages of antiquity and the Colossus of Rhodes, among the Seven Wonders of the World. The ruins of ancient Lindos and the mighty knights’ citadel of the City of Rhodes are among the most fascinating sights in the Aegean. The small neighbor island of Symi is distinguished by the beauty of its neoclassical main town and by the pilgrimage monastery of Panormitis. Karpathos, the second largest island of the Dodecanese, is located on the edge of Greece in the southeastern Aegean Sea, and is one of the most sparsely populated areas of the country. 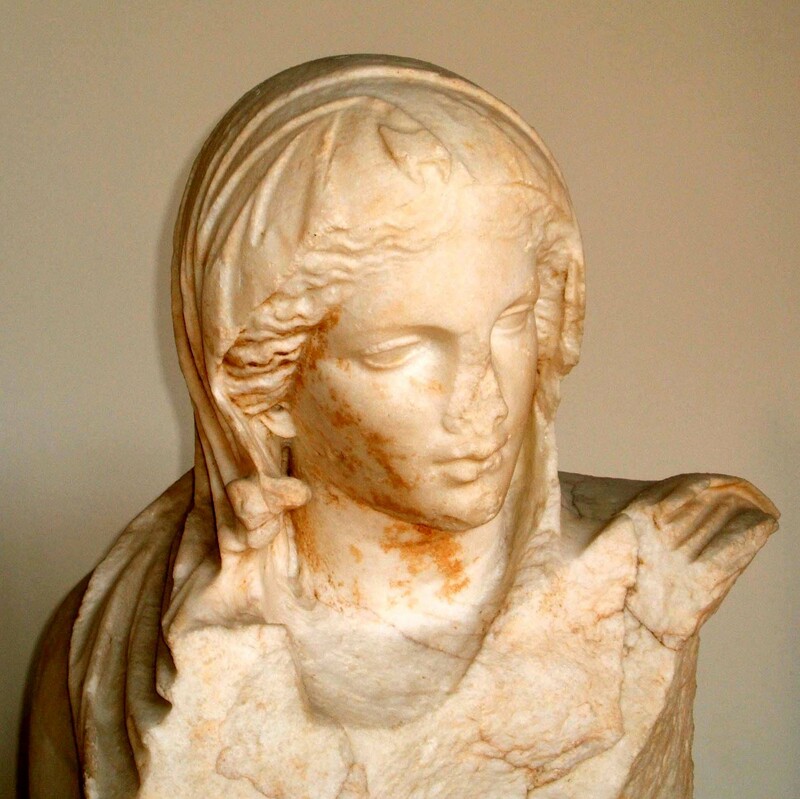 It was homeland of the titan Iapetus and birthplace of the sea spirit Proteus; goddess Athena and Prometheus, the great philanthropist, had spent part of their life there. 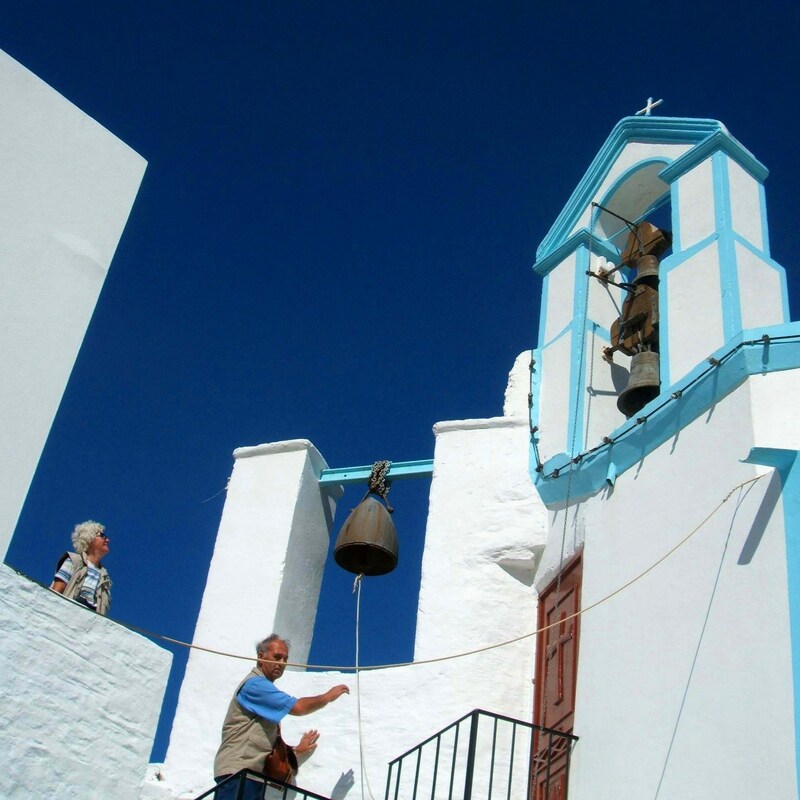 Karpathos is known for its healthy climate, its pristine landscapes and the maintenance of old customs and traditions, especially in the north of the island. Old connection paths lead through lonely landscapes and sparse forests, over barren mountain ranges and small fertile plains, past picturesque villages, peaceful bays and solitary chapels, inviting one to extended hikes. Flight to Rhodes and transfer to hotel. 3 nights in Rhodes. 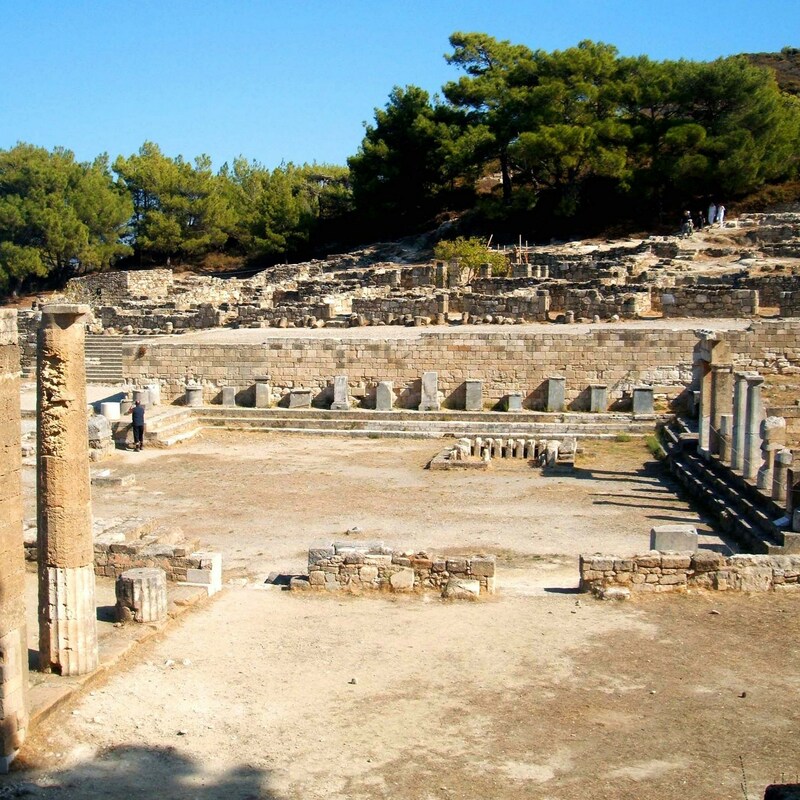 Drive to Monte Smith and visit the remains of the ancient Acropolis of Rhodes town (Temple of Apollo, stadium and Odeon). Walk through the extensive excavation site. 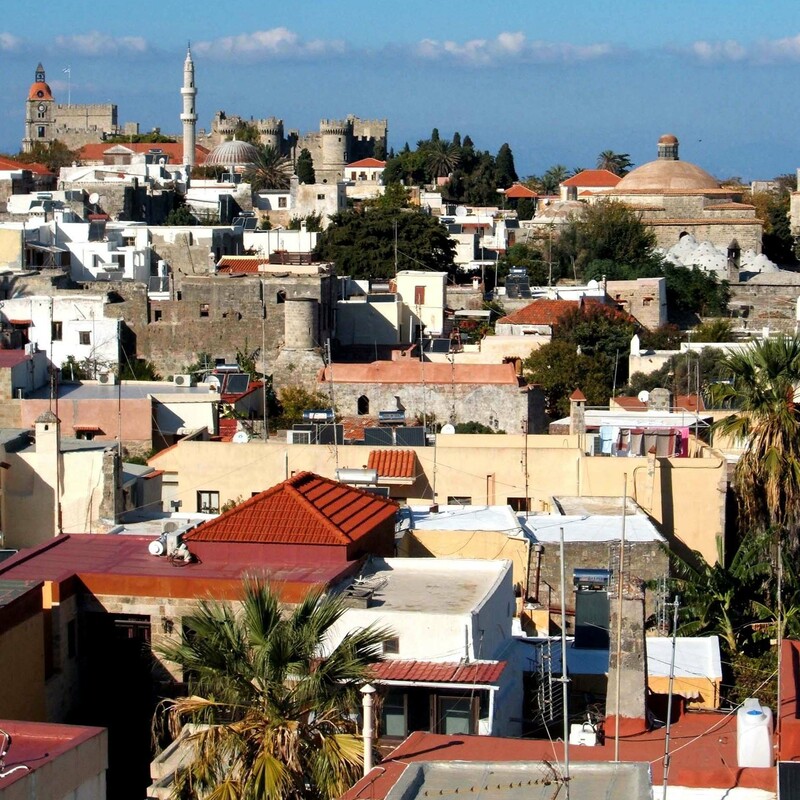 Rhodes has the most extensive medieval town in the Eastern Mediterranean. Stroll through the old town with several Byzantine churches and mosques and visit the castle with Grand Master's Palace (possible location of the Colossus), the archaeological museum and the Knights Street. At the harbour of Mandraki, the naval base in of the knights, a number of public buildings in colonial style recalls the period of the Italian administration. In the afternoon: time to wander around the city moat and the city walls. Day 3: the Mountain of Filerimos and ancient Kameiros. The forests of the Prophet Elias. Drive to the mountain of Filerimos. In the place of the ancient acropolis of Ialyssos, a knights’ fortress was built, next to the excavation of the sanctuary of Athena stands a restored convent of St. John’s order, close to a decorated with frescoes St. George's Chapel. On the south west coast was located the dominion of ancient Kameiros. In the early Middle Ages, the city was abandoned. In picturesque solitude, from the extensive excavation field, one overlooks today the southern west coast up to Asia Minor. We continue to the thickly forested mountain of Prophet Elias. In an open space stands the decorated with frescoes Byzantine church of St. Nicholas Fountouklis, where against the entrance to the church is found a source of fresh drinking water. Near the summit, surrounded by dense conifer wood next to the Church of Prophet Elias, during the Italian period two hotels were built in Tyrolean style. From the stylish Hotel Elafos we walk down to, on a panoramic way, to the village of Salakos [medium, about 2 hours]. Day 4: Diafani to the north of Karpathos. 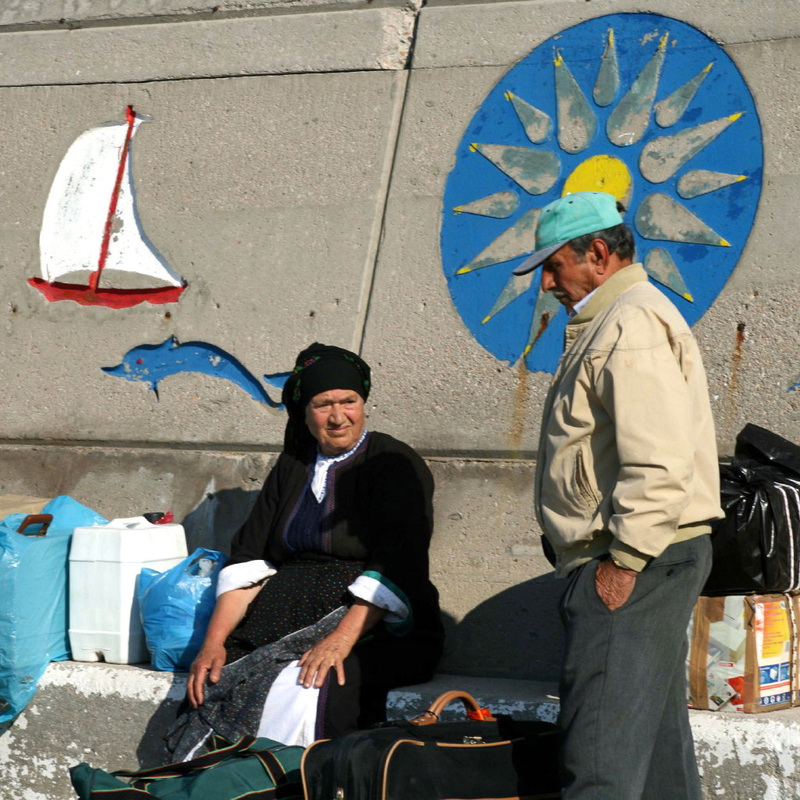 Crossing to Diafani on the island of Karpathos. Depending on the ship's departure (morning or afternoon) from Rhodes to Karpathos, time at leisure. 4 nights in Diafani of Karpathos. Drive to Avlona. Via the plateau we walk down to the Bay of Vrykous on the northwest coast. We find ourselves in one of the most beautiful landscapes of the island, around the still visible remains of an abandoned ancient city. We return to Avlona, sometimes on an alternative route. Eventually we hike on a scenic path over Vanada next to Diafani [about 5 hours, medium]. Depending on the ship and the weather, about one hour, takes the boat trip to the Straits of Saria. 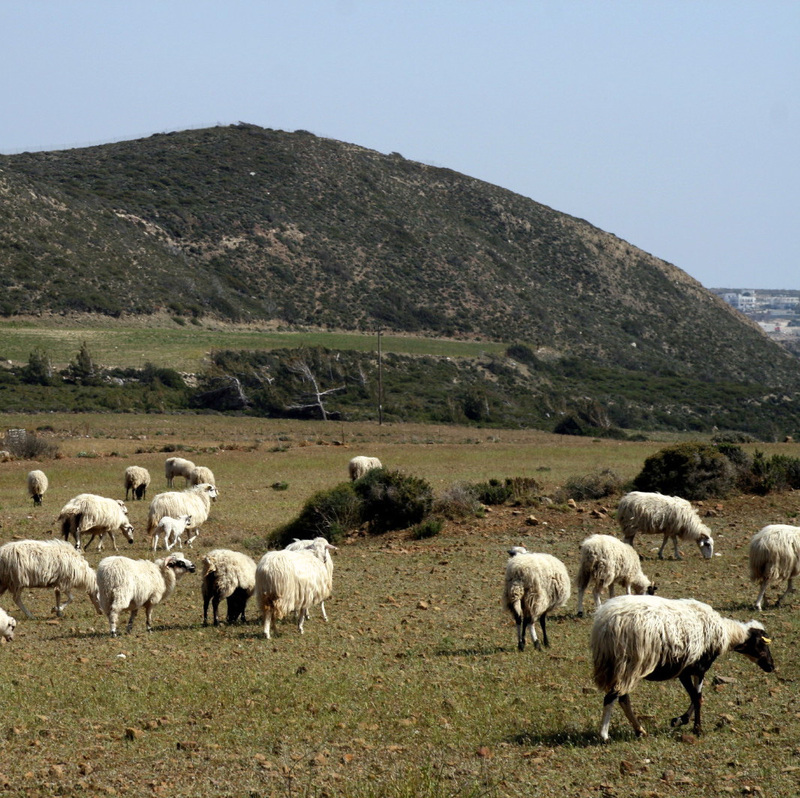 The small island north of Karpathos today is uninhabited. 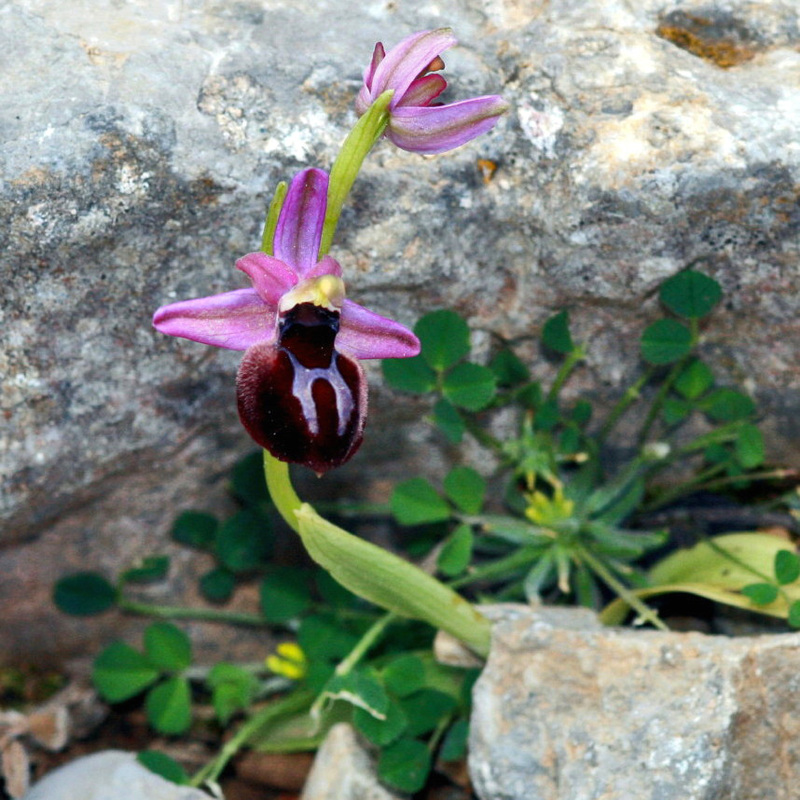 We hike from the bay of Almyros on the south coast, where the solitary chapel of St. Spyridon stands, and via old mule paths, through abandoned settlements and fields, we finally reach the picturesque bay of Palatia ("palaces"), on the northern east coast, where the remains of a paleochristian basilica and a ruined old village stand and where our boat will be waiting for us, if we're lucky [about 4 hours, moderate to challenging]. That day’s hike leads along the slopes of the mountain of Prophet Elias, over the village of Olympos. 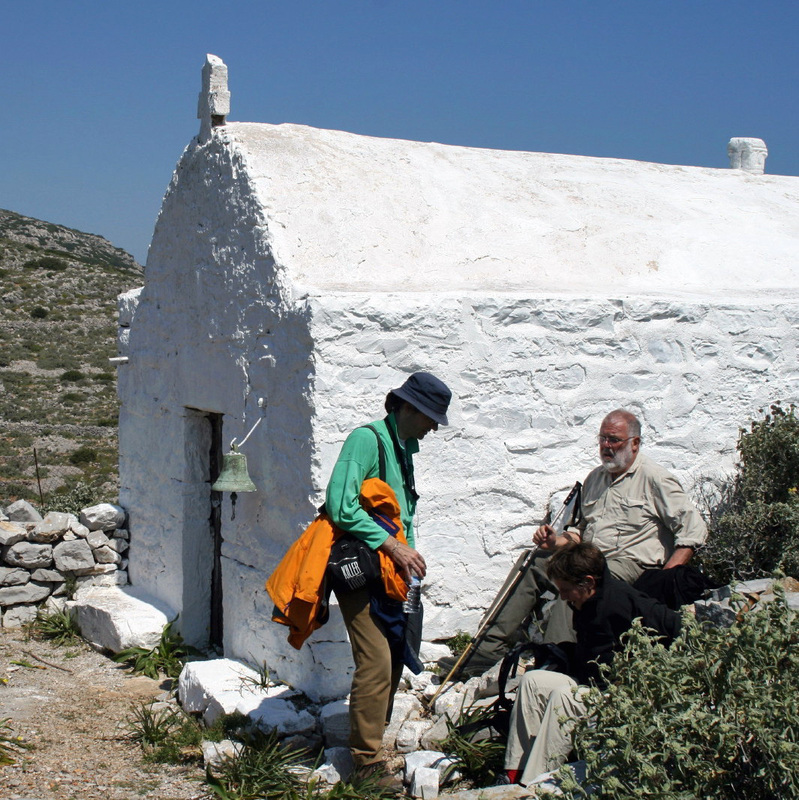 We will have the opportunity to reach the chapel on the summit (719 m), with magnificent view of the entire northern part of the island and, under good weather conditions, we may enjoy the south part of the Aegean [3 hours, medium]. 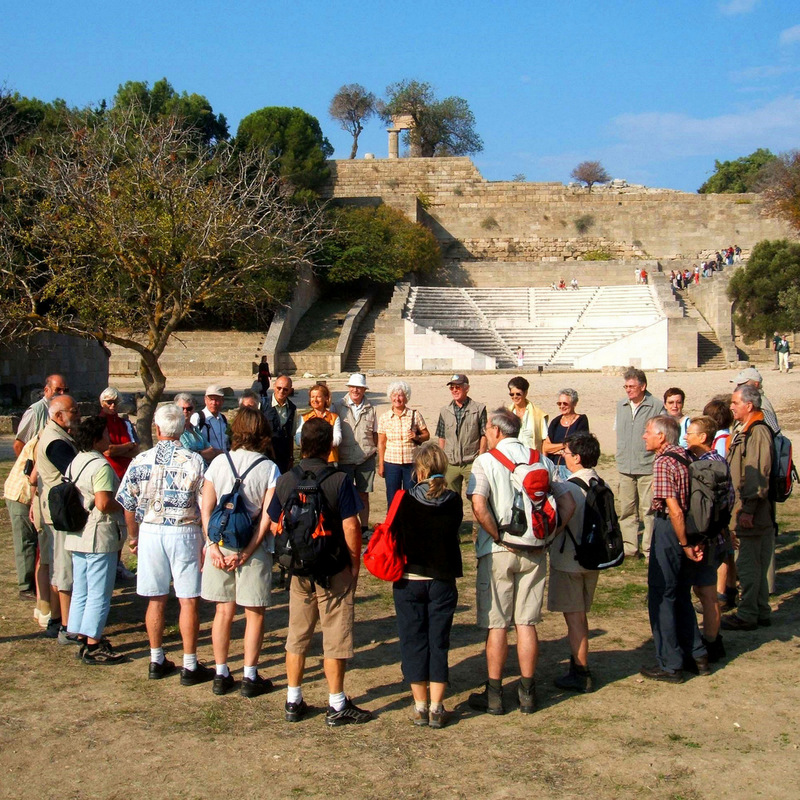 We take our time to visit Olympos, walk around and take pictures. 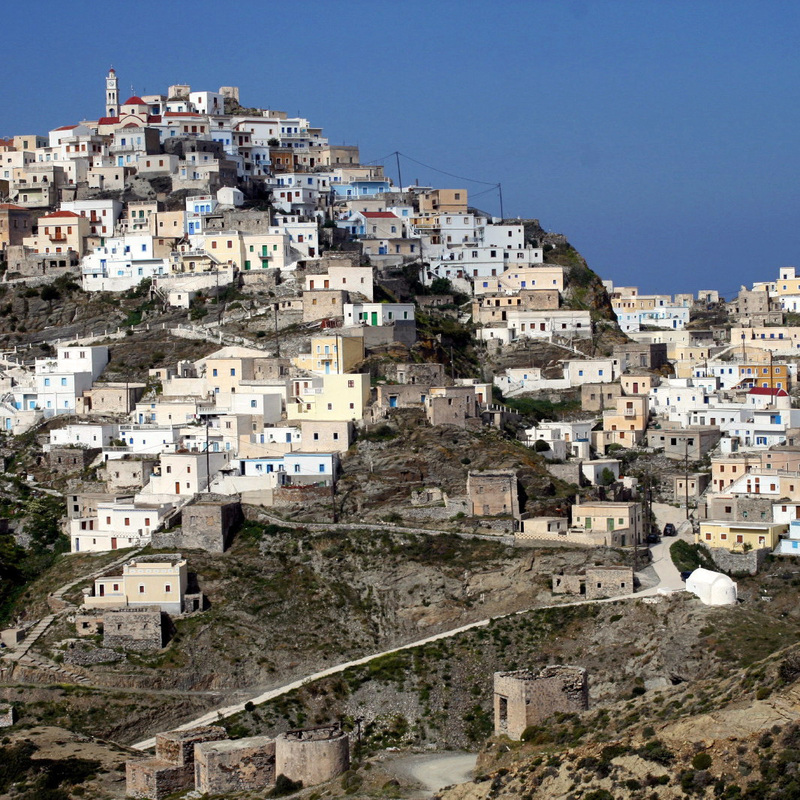 Traditional as it gets: White but also colorful whitewashed cubic houses cling to the hillside. 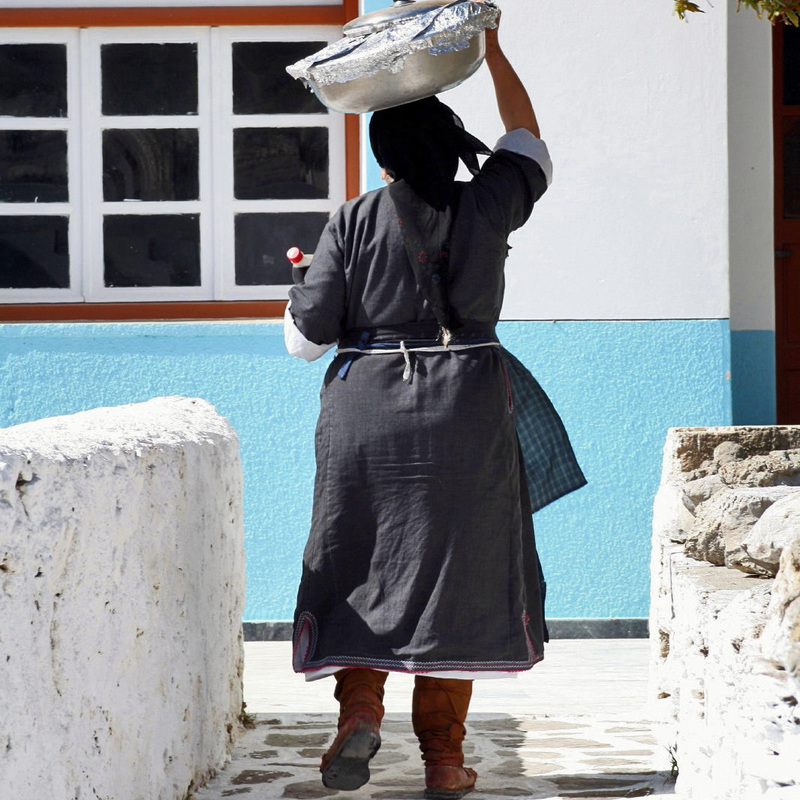 In the village, some women still walk around dressed with their traditional costumes. 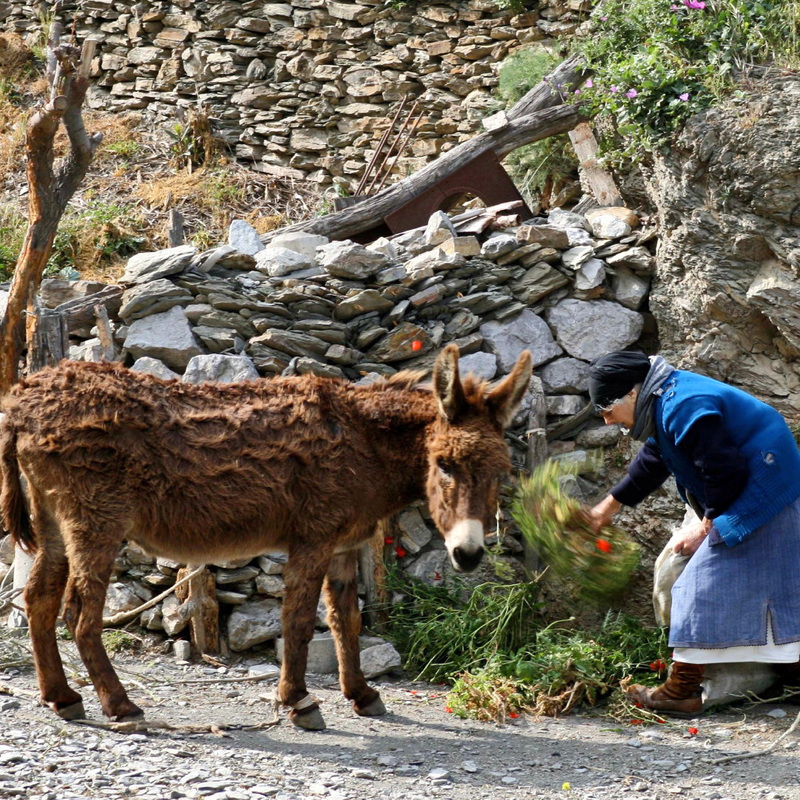 We will certainly meet some peasant going around with his donkey. There will also be the option of going into a village pub. Returning to Diafani we may walk [about 2 hours] or be driven there. It’s time to say goodbye to Diafani and the north part of the island and drive to the beautiful, traditional village of Mesochori. 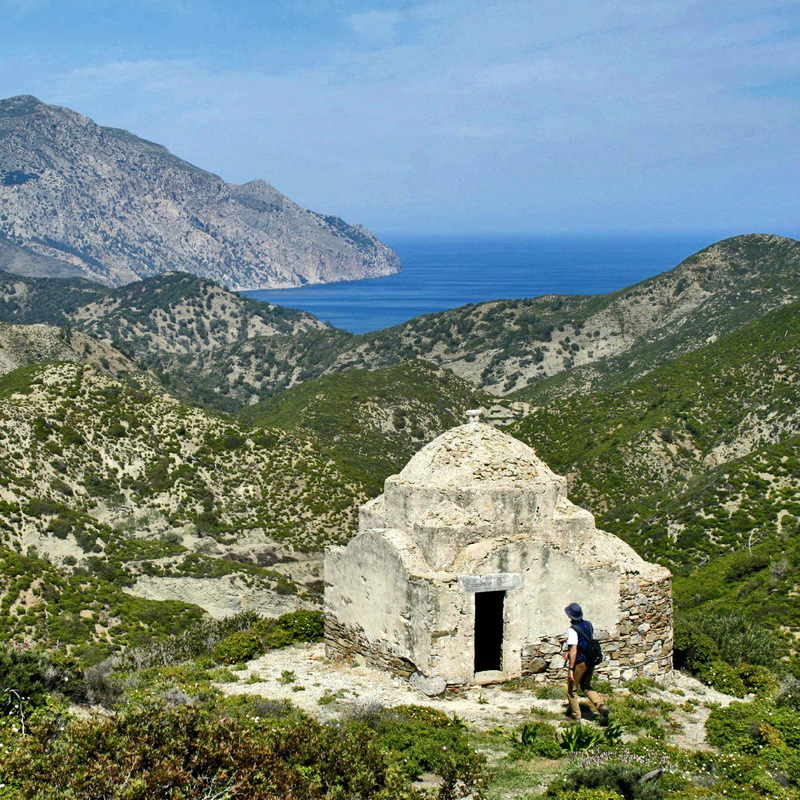 First we walk through the picturesque streets to the village church and then we hike on an old connection path, past an abandoned lighthouse with panoramic views and ancient ruins, with grazing sheep and goats, to the fishing harbor of Lefkos [about 3 hours, medium]. Eventually we drive to island the capital Pigadia (officially named Karpathos). 3 nights in the city of Karpathos. Drive to the plateau of Pano Lastos (800 m of altitude). We climb Kali Limni (1215 m), the highest mountain of the island, and enjoy the panorama from the summit. Return to the starting point [about 3hrs30min, challenging]. We may end our hike there or continue, on ancient paths and through beautiful landscapes, to the mountain village Volada (500 m) [approx. 2 h30min]. That day we hike crossing the island, from the east to the west coast. First we walk uphill, on promising pathways to the traditional village Menites, then downhill towards the west coast to Arkasa, near the remains of the ancient city of Arkesine [about 6 hours, medium]. There is also the possibility of walking just one part of the way. 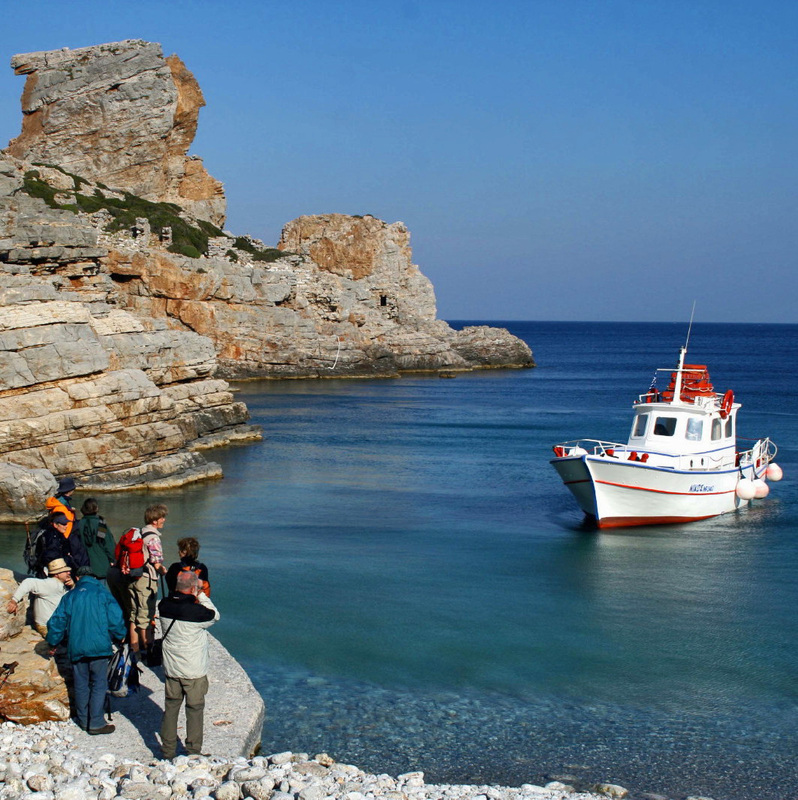 Depending on the departure time of the ship the morning is in Karpathos or Rhodes and the afternoon at leisure. Travel time about 4 hours. 4 nights in Rhodes. Day 12: Excursion to Lindos: The temple of Athena, the fortress St. John’s knights and the traditional settlement. 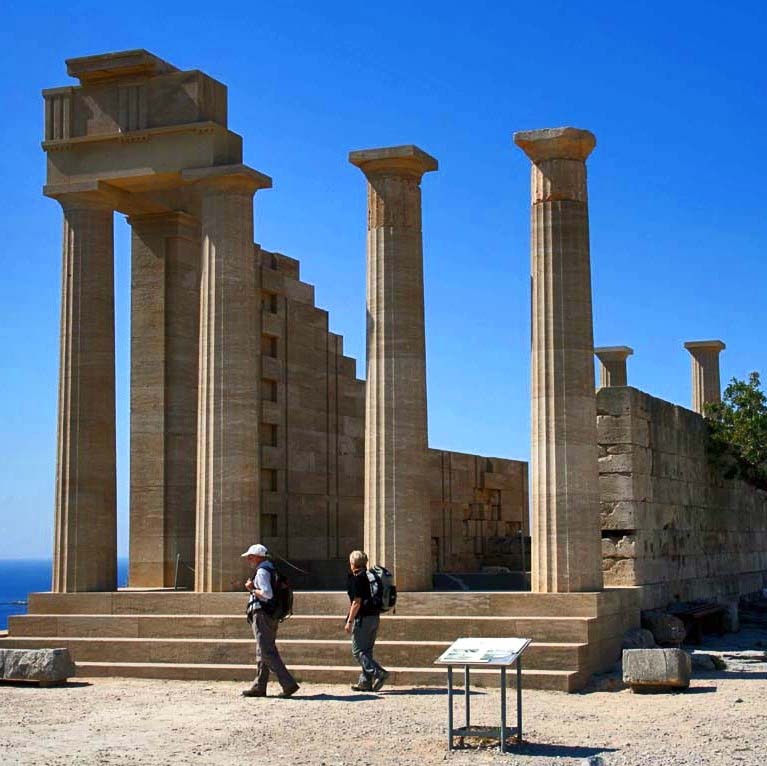 Lindos was during antiquity trade center and place of pilgrimage, also homeland of Cleobulus, one of the Seven Sages. On the hill of the ancient acropolis stands a medieval castle, with the ancient sanctuary of Athena Lindia built in the place of a more antique temple. We drive to Kalathos where our hike begins. We walk across a valley with remains of Hellenistic tombs, continue on a promising path via a low-pass and along a slope leading to Lindos [2hrs30min, medium]. 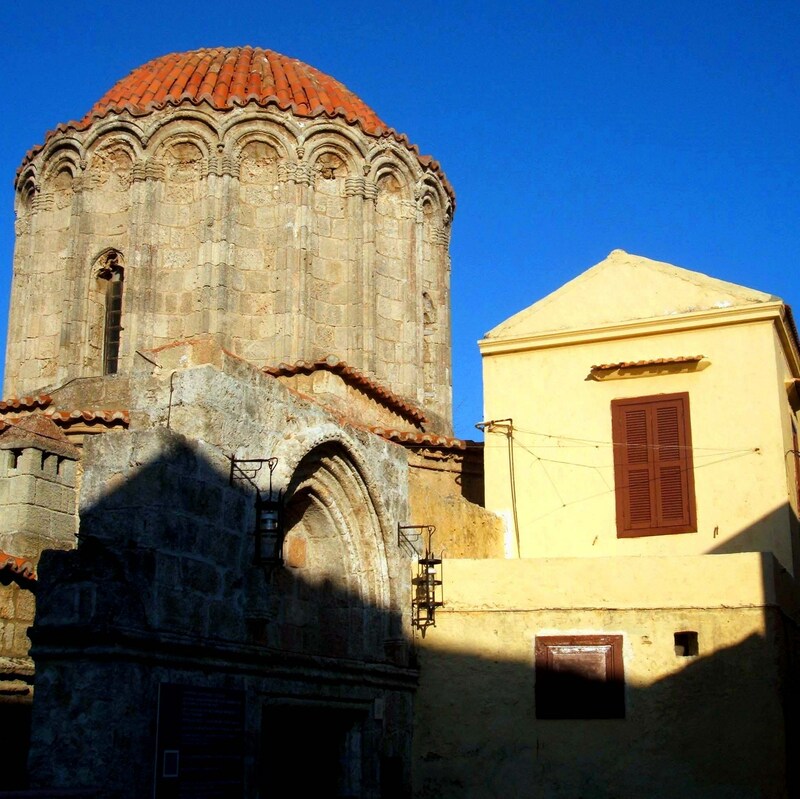 We stroll through the traditional settlement of the 17th-18th century, visit the Byzantine church of Panagia and ascent to the Acropolis. Swimming opportunity. Day 13: Boat excursion to the neighbour island of Symi. A strait separates Symi from the coast of Asia Minor. Multiple deep and narrow creeks characterize its landscape. Sponge diving and maritime trade had contributed to its former prosperity. An extensive - though now largely abandoned - neoclassical main town is the witness of the flowering past. We visit the monastery Panormitis, an important pilgrimage site, where the Archangel Michael is revered as the patron saint of sailors. 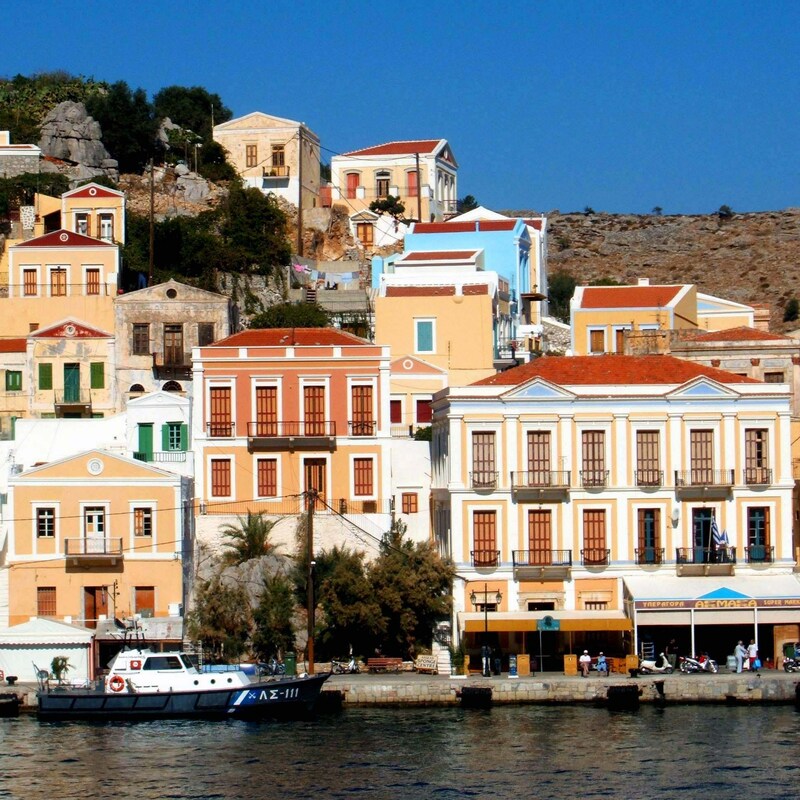 We stroll through the neoclassical capital of Symi. Opportunity for a walk to the Knights’ Castle [1hr30’, easy). Trip to the south of the island. 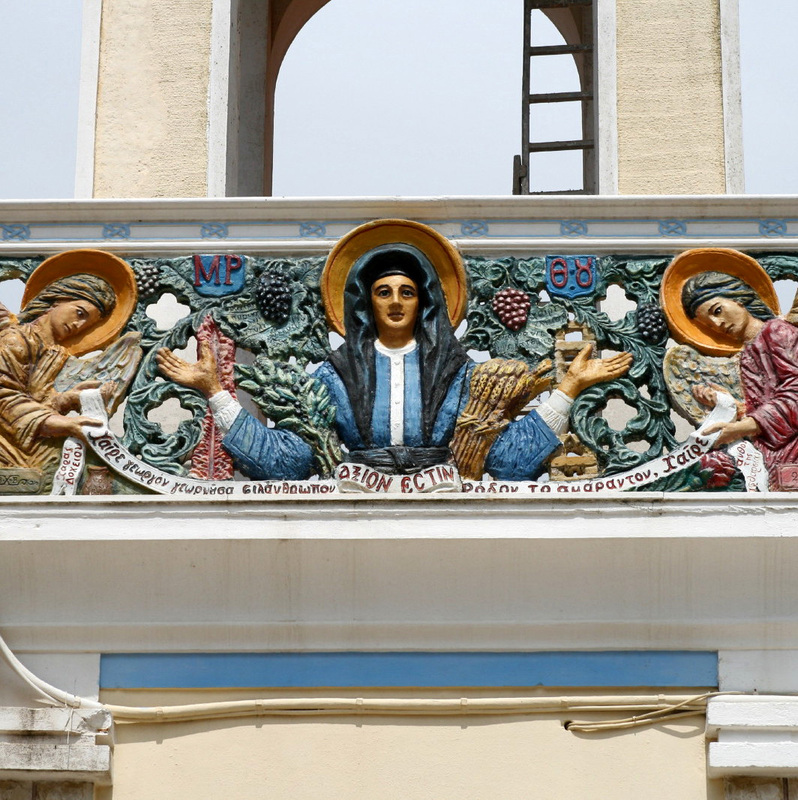 We ascend to the castle of Monolithos, where the Grand Master De Gozon had fought against the dragon, and visit the Church of St. Panteleimon in the village of Sianna (also known for its good honey and grape brandy). 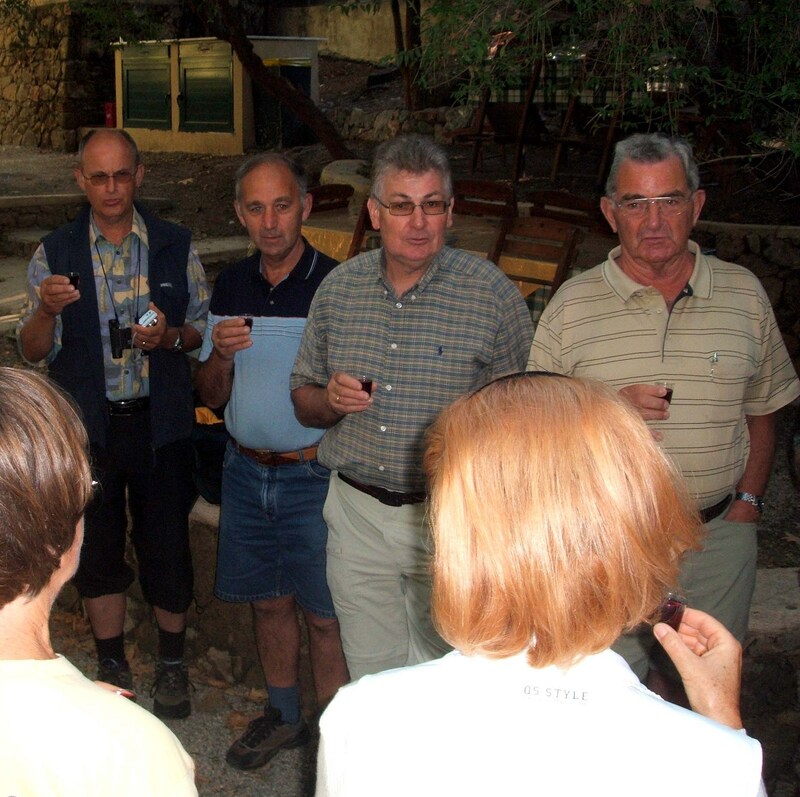 Embona, on the slopes of Atabyros, the highest mountain of the island, is the center of the wine growing region of Rhodes. Opportunity for an afternoon hike through the village of Kritinia to the nearby Knights fortress. Day 15. SA, 30.04: Goodbye. - The Knights’ Citadels of the city of Rhodes, the most extensive medieval town in the Eastern Mediterranean, an UNESCO World Heritage Site. 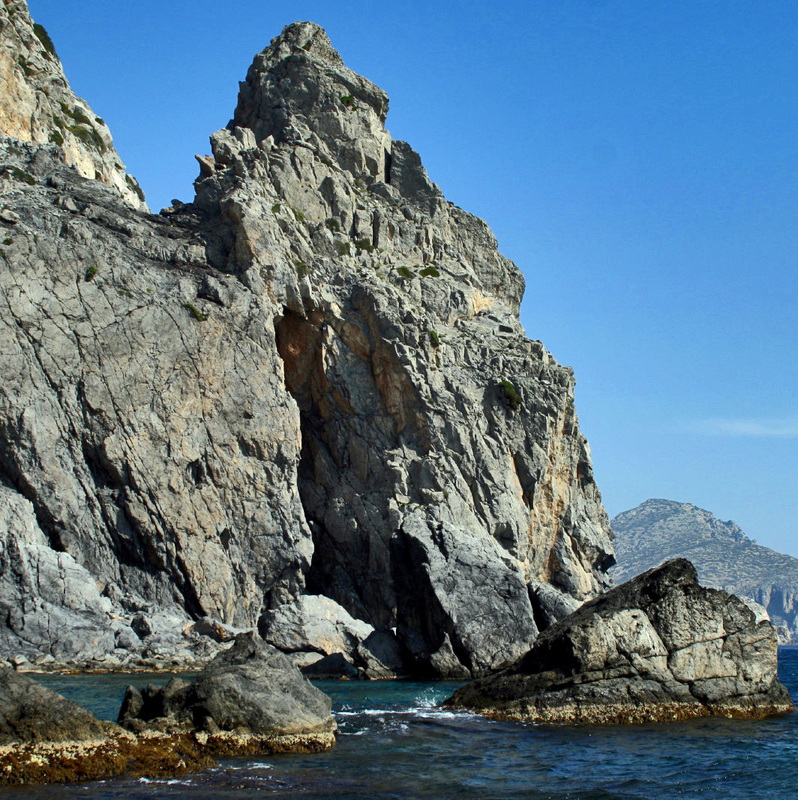 - We visit the most important sights of Rhodes Island, with opportunity of three easy to moderate hikes of 2hrs – 2hrs30’. - Day excursion we get to neighbour island of Symi. 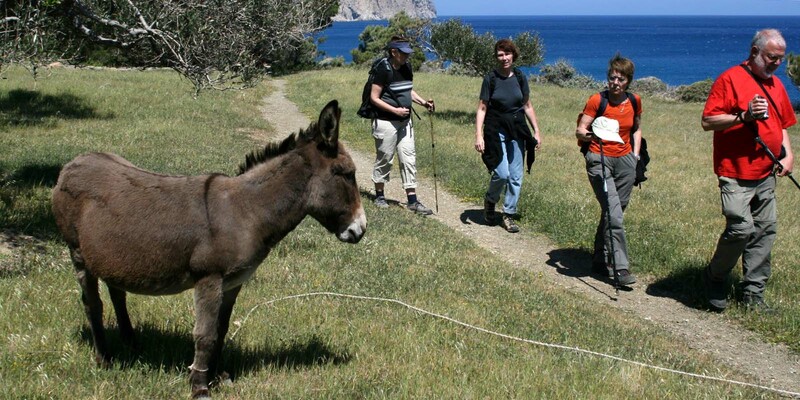 - On Karpathos, six moderate to challenging hikes of 3-6 hours are planned. 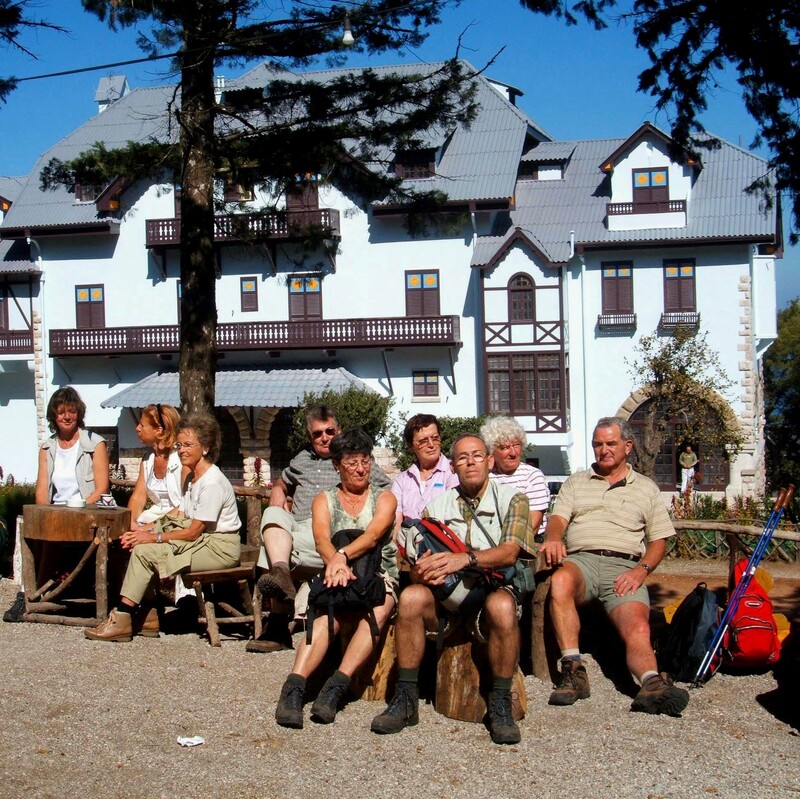 A certain hiking experience and fairly good shape are prerequisite, good hiking shoes are required, walking sticks are recommended and a day backpack very useful. 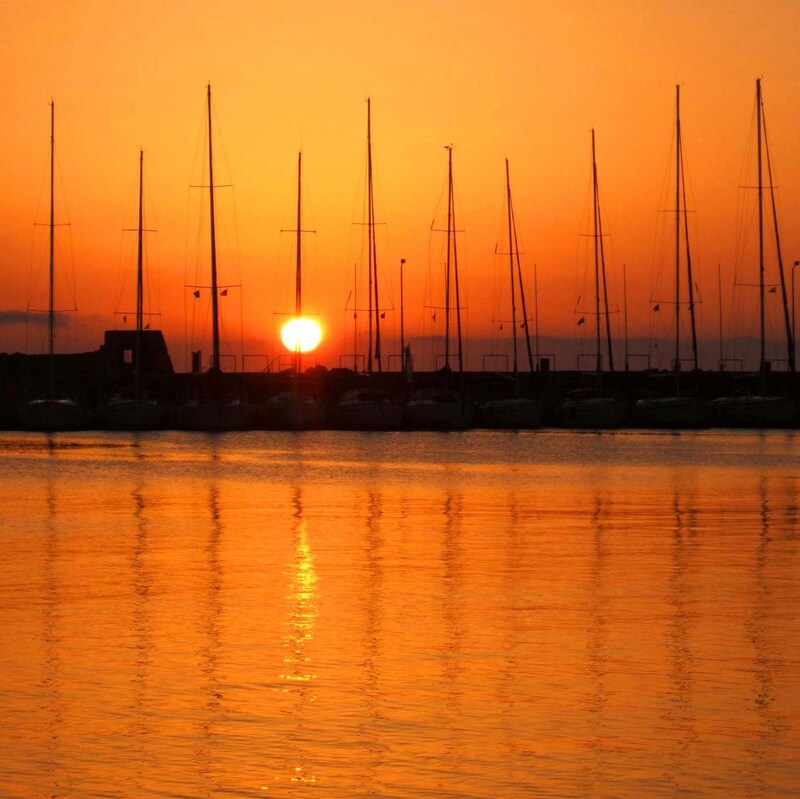 On Rhodes: 7 nights in a neat middle class hotel, breakfast included, dinner at the hotel or in taverns. On Karpathos: 4 nights in a rather simple seaside hotel in Diafani, breakfast included, 3 nights in Pigadia, breakfast included.